Today we're bringing you some fascinating news about a cache of 1,400-year-old coins that were just discovered in excavations near Jerusalem. 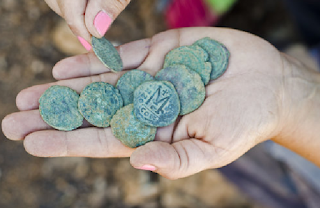 JNS.org states, "According to the IAA, the cache of nine bronze coins were found in a large complex that served Christian pilgrims en route to Jerusalem, and provide “evidence of the Persian invasion at the end of the Byzantine period,” as the coins feature the images of three Byzantine emperors (Justinian 483-565 CE, Maurice 539-602 CE and Phocas 547-610 CE)." Today we're sharing a special article out of The Catholic Spirit that describes the connection between the holy season of Lent and pilgrimage. Deacon Mickey Friesen writes, "Lent is an annual pilgrimage to renew our faith in Christ as we retrace his footsteps and walk with his disciples on the way to Jerusalem - the way to the cross." When Jesus took this journey himself, he passed through Galilee, Samaria and Judea to teach, heal, forgive, feed and raise up those in need. Pilgrims are now taking this time to experience this holy journey and walk the path he traveled. To read more into this special pilgrimage, read the full article HERE! 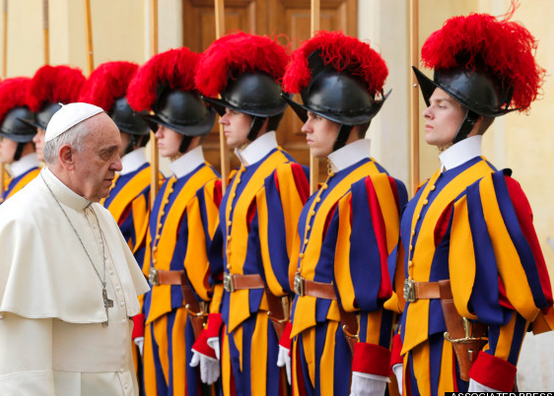 Today we're bringing you a lovely read out of the National Catholic Register that describes the first time in its 500-year history that the Swiss Guard organized a Holy Land pilgrimage. Michele Chabin of NCR writes that 12 of the 110 guardsmen who protect the Pope on a daily basis toured Christian holy sites throughout Israel and the Palestinian territories last month. Learn more about this amazing trip by reading the full article HERE! 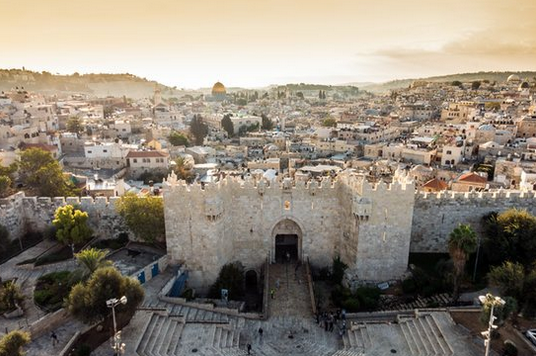 Today we're bringing you a newsworthy article out of Christian Today that states that a new pilgrimage route in Jerusalem is recreating a journey Jesus and his disciples may have taken on their visits to the city 2,000 years ago. 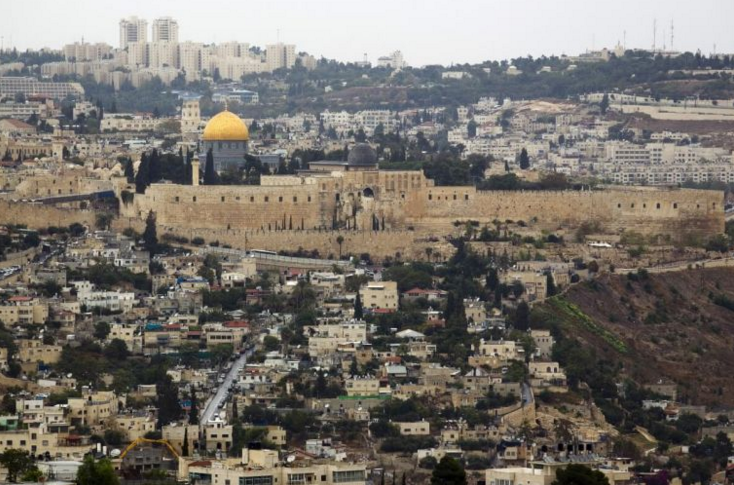 Author Mike Woods writes, "The trail is centered on ancient ritual baths at the Ophel site used by the tens of thousands of pilgrims visiting the Temple for the three great festivals of Passover, Shavuot and Sukkot. 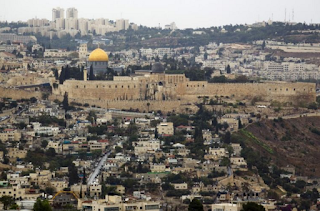 The pilgrims would have ascended from the Siloam Pool by way of the City of the David to the Ophel and its ritual baths and from there to the Temple Mount." Learn more about the trail by reading the full article HERE!